You can carry out bicycle touring on the road, in nature or the Mountain Bike Tour through marked routes for 19 days. CiclaMadrid Gran Tour is a perimeter route of 420 km that allows to be cycled through the Community of Madrid. It joins 91 municipalities and gives the possibility to visit places declared World Heritage by UNESCO, more than 50 Cultural Heritage Sites and up to four natural spaces. It is divided into 19 days and 17 stages, with an average of 25 km each and an average difference of +266 meters, enjoying all its cultural and gastronomic offer in a tourist showcase of healthy nature and leisure. Etapas. On first day, the displacement is by train, from Madrid to Aranjuez, where it is fixed the starting point. From the southernmost city of the Community, the route starts along the Tajo valley, which connects with the municipalities that surround the bank of the Tajuña River 1122112. This route connects with the norte of the Community, through the cuenca del Jarama. Descending by the western part, the etapas put their end in Moralzarzal, San Lorenzo de El Escorial (Monastery and Site were inscribed in the list of World Heritage of UNESCO), Robledo de Chavela and San Martín de Valdeiglesias. By southwest , the stages end in Aldea del Fresno, Navalcarnero, Griñón and Valdemoro. From this city begins the last day of the tour, which ends in Aranjuez, a cultural landscape (declared a World Heritage Site by UNESCO), the starting point of this route in bicycle in the region. The last day is the return to Madrid, which will be by train. Application is available. CiclaMadrid Conecta is the official app that the Community of Madrid has made available to participants. Allows you to create plans and invite to friends and people from the CiclaMadrid community, sign up for meetings organized by other users, share experiences and follow other users and discover their routes and plans. It is available on devices with App Store and Google Play. Each one at your own pace. The 420 Km are adapted to the characteristics of each traveler. The only requirement is to join stages where everyone wants, or do them all one at a time. 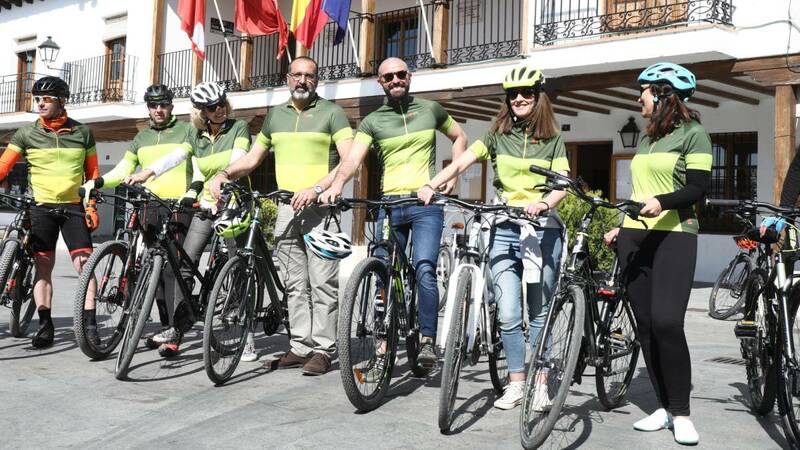 In addition, there are more specific options: in the region of Aranjuez, a proposal for families and groups of friends; in the Sierra de Guadarrama, for cyclists who love the road and in the Sierra Norte, for those who prefer mountain biking. El Hayedo de Montejo. This ancient pasture was declared a National Site of National Interest in 1974, Reserva de la Biosphere in 2005 and Natural Patrimony of Humanity by UNESCO in 2017. It is located in the Sierra del Rincón (it spans five municipalities) and is the fourth destination of the CiclaMadrid declared World Heritage by UNESCO. It is located within the route of the Sierra Norte.